Bios - Mack Landscape Management, LLC. Eric began Mack Landscape Management, LLC. in 2010 buoyed by exceptional industry training and landscape expertise. With a degree in Landscape Business Management & Natural Resource Management, Eric has an impressive fifteen years of experience in the field and continues his education to bring his customers the very best and latest in landscape design and management techniques. Beginning his long and industrious career in high school, Eric began working for a local, and privately owned landscape and tree service company. Under the guidance of his employer and mentor, he discovered his passion for landscape design and architecture. Throughout College, Eric worked at a large design & install firm specializing in irrigation install, hardscaping, and drainage solutions. There, he became certified as an Irrigation Technician for both large Homeowner’s Associations and office complexes. Eric's knowledge and passion eventually grew towards water solutions in the dry mountains of Colorado and New Mexico leading him to non-profit and local municipalities to study and resolve these critical issues. Post graduation, Eric pioneered a storm water and runoff division within the company at which he was employed. He worked to build and sustain the division for two years. In 2010, Eric returned to the Greater Philadelphia area to launch his own Landscape Management Company which he founded on the principles of exceptional client relations, responsible landscape ethics, and sustainable practices. Mack Landscape Management, LLC has grown into a vibrant and successful tribute to Eric's character. His love for the outdoors and the deep passion to restore private and public properties are evident in his leadership and management within his company as well as his collaborations with the Lower Merion Conservancy Group. Eric plans to orient Mack Landscape Management, LLC towards becoming completely sustainable and using only organic fertilizer suppliers. Jason came to Mack Landscape Management, LLC. in 2016. 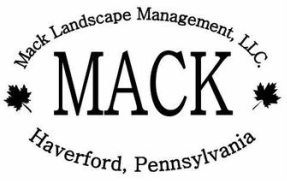 He is dedicated to the craft and refined expertise that Mack Landscape is known for throughout the Main Line. Jason has extensive experience with turf maintenance, pruning, and a thorough eye for detail. He is well versed in the management of insect infestation, and plant disease control and prevention. Jason will be the first to inform you of concerns he has and offer suggestions in relation to the plants on your property. Jason grew up in Quincy, MA, just outside of Boston. Working full-time at Mack Landscape, he discovered his passion and skill in the landscape industry. He has a deep appreciation for nature and enjoys fishing in his time off. Being a Boston native, Jason also has die hard support for New England sports teams.